How exciting that you are here! 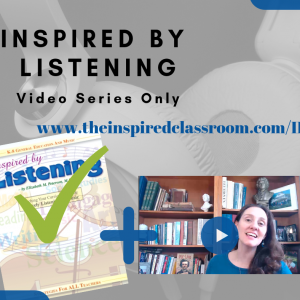 Inspired by Listening is an amazing resource for music integration whether you are a musician yourself or simply enjoy listening to music. 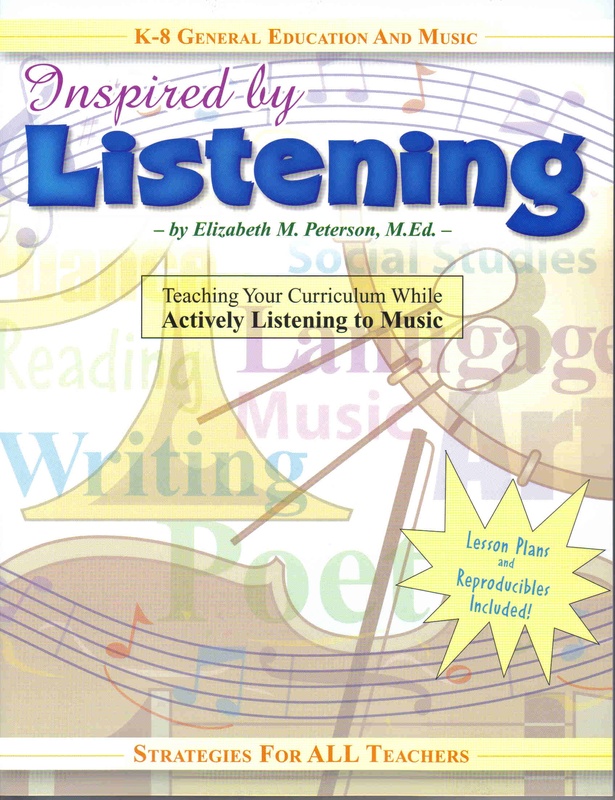 And now you can even get the online Video Course that accompanies the book. 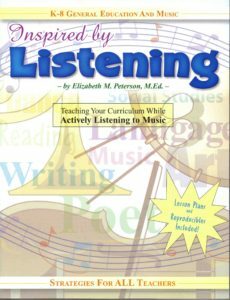 Let Elizabeth take you through the book section by section to make the most of your music integration implementation. It’s like having your own personal workshop with the author! 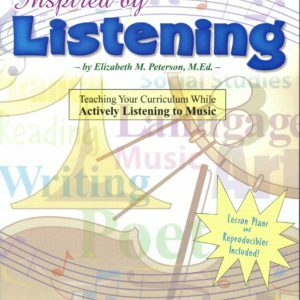 The Book Inspired by Listening may be ordered through the Book Store tab on this site. A discount schedule is available for retailers, colleges and universities.